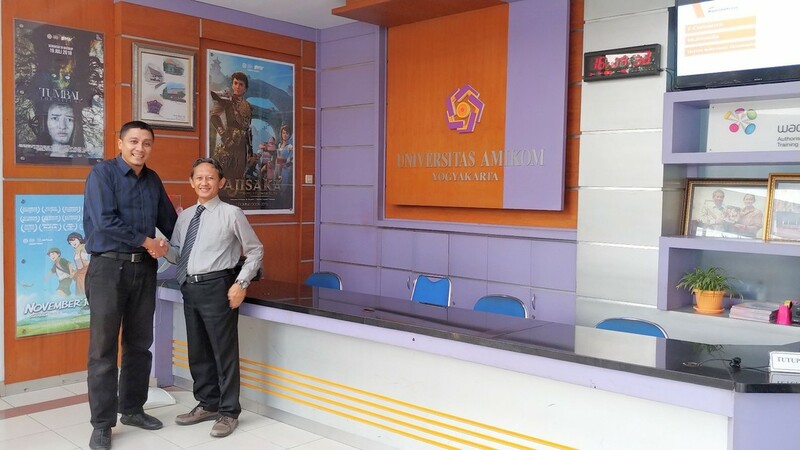 July 2018 - AMIKOM University and MSV Studio are just in agreement with Sentra Grafika Kompumedia to establish a new level of partnership in high performance computing and visualization (animation and movie production technologies), artificial intelligence, virtual reality and digital education platform. 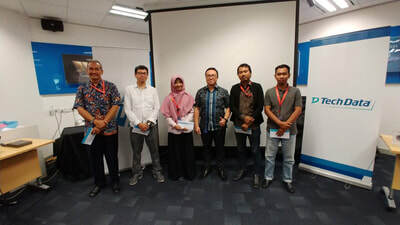 Humbly, Sentra Grafika Kompumedia is highly honored to be the chosen partner in the future growth of AMIKOM University and MSV Studio. May we all could bring benefits to students, their families, as well as the future education growth in Indonesia. 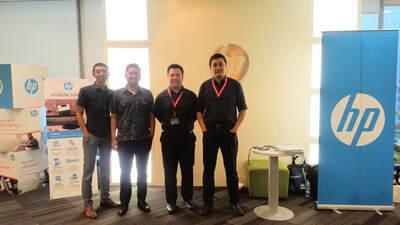 May 2018 - MSV Pictures, Indonesia's leading and most comprehensive animation studio, takes another leap in deploying PIXAR's latest and best rendering technology, RenderMan 21. At the same moment, MSV Pictures is transforming themselves into MSV Studio, aiming themselves to place a new bar in their productivity and creativity as their endless goal. PIXAR's RenderMan has been the technology behind their award winning feature film like "The Battle of Surabaya" which named as the best animation feature at 2017 Milan Film Festival. To keep the story short, RenderMan brings them confident to move forward with their new feature, "Ajisaka". ​Thank you MSV Studio. 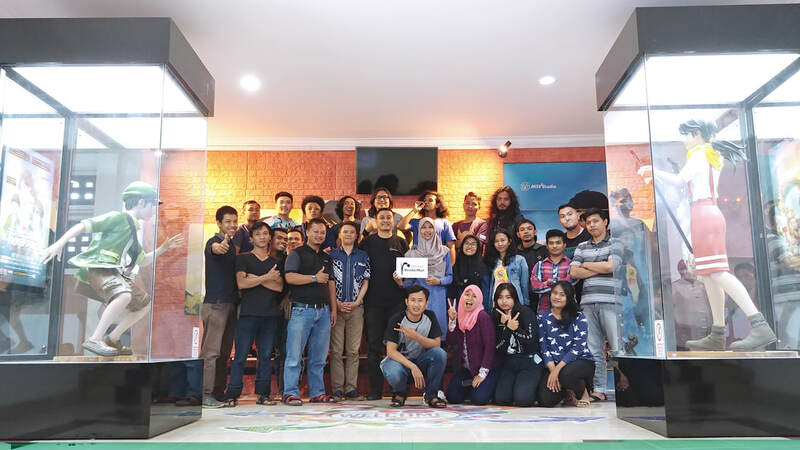 It's a great honor to support the best animation studio in Indonesia, with world's best rendering engine, PIXAR's RenderMan. 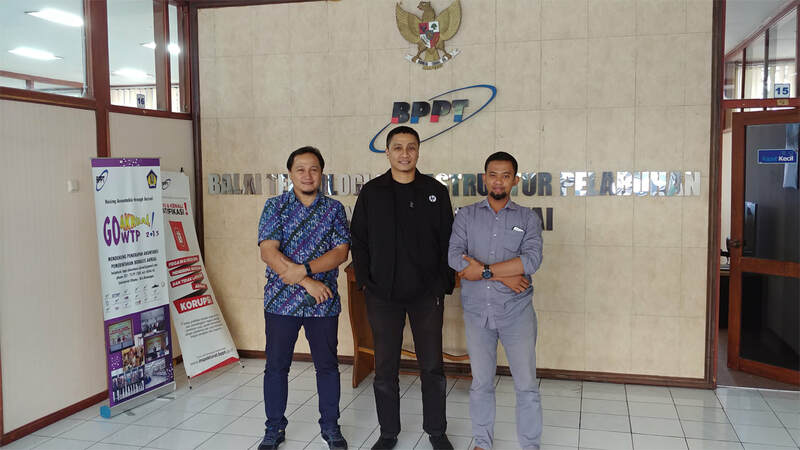 May 2018 - After the deployment of HP Z640 late last year, Badan Teknologi Infrastuktur Pelabuhan dan Dinamika Pantai of BPPT Jogjakarta immediately started to take advantages over the computing power and performance of their HP Workstation. 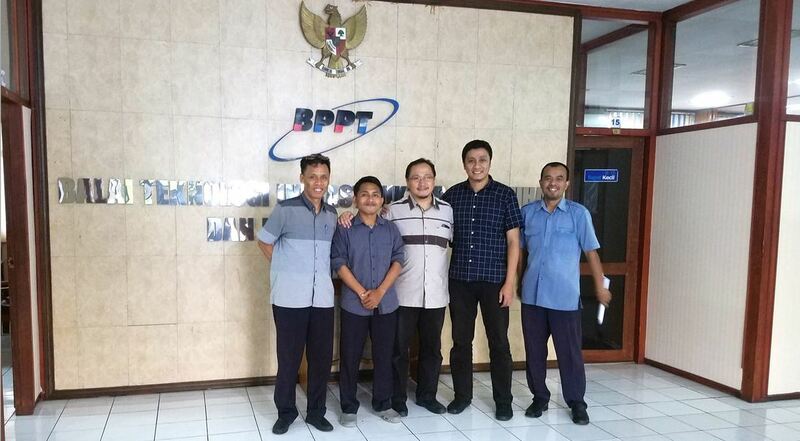 On our late visit to BTIPDP in May 2018, we witnessed the brute computing power of the Z640 blasts their productivity in between 6-10 times faster computing time to finish their simulation, giving them more time to experiment with iterations as well as different parameters to have more comprehensive results. ​Thank you BTIPDP for placing the trust on the best workstation to carry the heavy computing tasks. April 2018 - A bold collaboration between Sentra Grafika Kompumedia, Tech Data and HP Indonesia, we finally had a nice and warm HP Workstation User Group Indonesia (HP WUGI) gathering on April 24th, 2018. 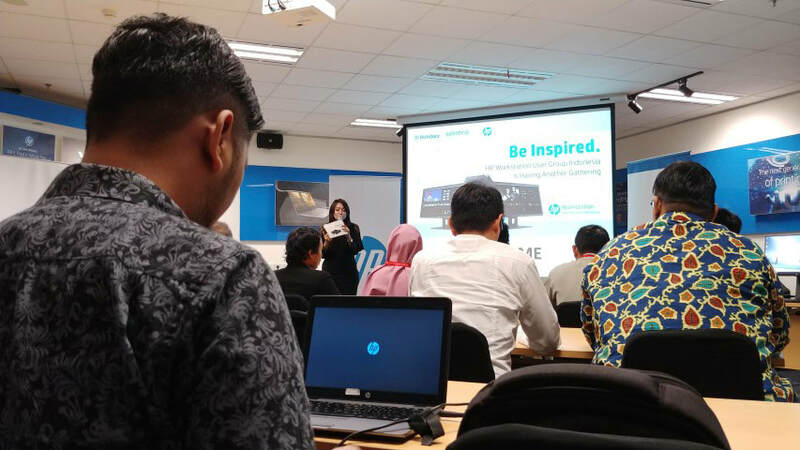 Attended by engineers, designers and enthusiasts, warm welcoming speech was given by Fransiskus Adiredja of HP Indonesia and Bimo Adi Prakoso of Sentra Grafika Kompumedia. 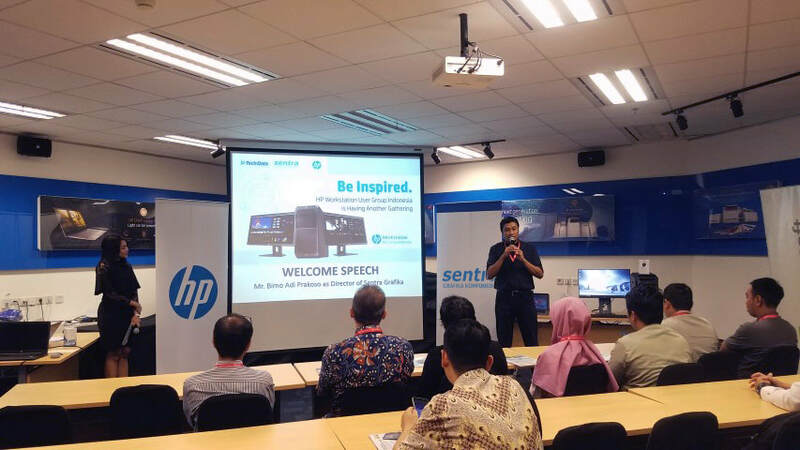 Krismaya of HP Indonesia continued to give product update on HP latest workstation lineup. The main session was delivered by Bimo Adi Prakoso of Sentra Grafika Kompumedia, a Workstation evangelist, sharing his insights of opportunities from his point of view as a long life HP Workstation user, using Rhinoceros for RC plane design, UAV design as well as jewelry design. Opportunities for hobbyists and enthusiasts to get more revenue as part time hobbyists, over fulltime job. 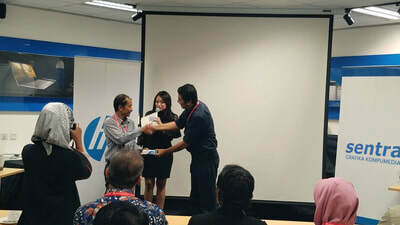 We congratulated to 5 early birds who had given their efforts to come and join the event, on time. A lucky attendee was lucky enough to bring home HP Sprout pocket printer during lucky draw session. Another interesting thing is that it was the soft announcement of promotional items for a limited period of time, for HP WUGI members from May until June 2018. 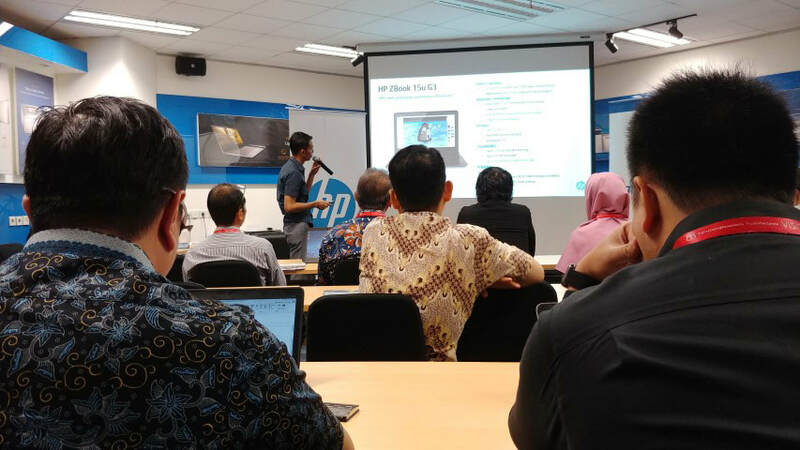 HP WUGI would be conducted periodically every 4 months in a year to provide sessions for users to meet each other as well as delivering product and technology update with hope that it would be useful for HP Workstation users. Thank you all attendees for gathering with us. We'll see you at the next event! 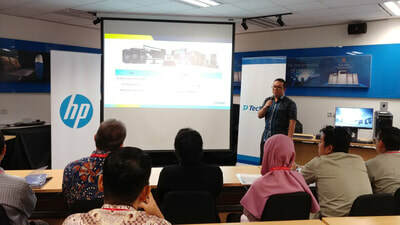 HP Workstation User Group Indonesia Next Gathering, April 24th, 2018. Register Soon, Seats Are Limited. April 2018 - Sentra Grafika Kompumedia and Tech Data, are collaborating together with HP Inc., to conduct the next HP Workstation User Group Indonesia (HP WUGI), on April 24th, 2018. 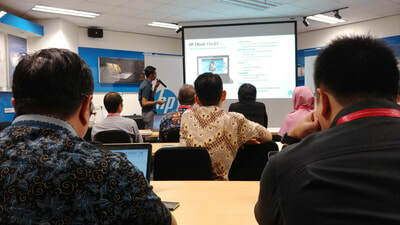 The event will take place at HP Technology Center, 5th floor Prudential 88 building, Kota Kasablanka, starting from 9.00 am. 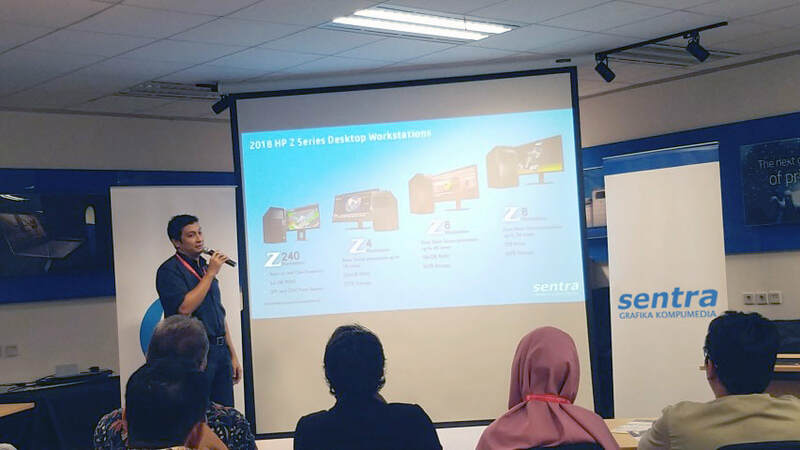 New 2018 HP Z Desktop and Mobile Workstation will be shown, as well as the groundbreaking world's first detachable workstation, the HP Zbook X2. The new ultimate modeling software for engineers, designers and hobbyist, McNeel's Rhinoceros 6.0 will also be showing its teeth as tons of its new features and performance, will take modeling into the next level. Registration page is available HERE. We'll see you at the event! February 2018 - McNeel & Associates has just announced the availability of the most anticipated Rhinoceros v6. Rhinoceros is a commercial 3D computer graphics and computer-aided design application software. The latest 6th release carries tons of enhancements on performance, efficiency and features that helps users to accomplish their tasks starting from concepts to real product presentation in a new level. More information is listed here. January 2018 - HP Workstation has again proven the performance, reliability and innovation by gaining the trust of Indonesian Government's Balai Teknologi Infrastruktur Pelabuhan dan Dinamika Pantai (BTIPDP of BPPT), in order to continue and complete any heavy physical, chemical and biological coastal/marine areas simulation. 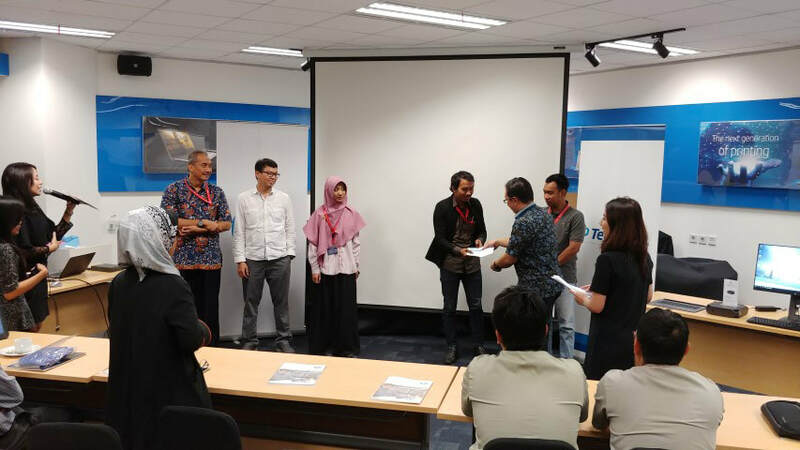 To process their massive data in any coastal/marine simulation for the next few years, Sentra Grafika was chosen to provide the high performance computing solution based on HP Workstation. 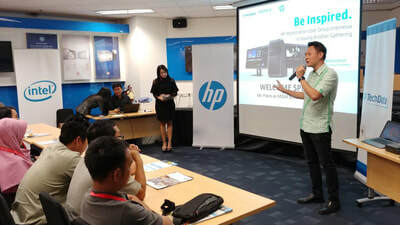 The decision was made after a thorough assessment, based on their actual data and workloads to define which HP Workstation model meets their needs. 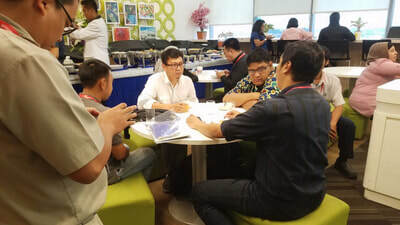 It's to be expected, that with the new high performance computing solution, BTIPDP is able to accomplish and finish any of their existing yet challenging tasks properly, efficiently and quickly so they could move forward with their next ones, placing their productivity to the next level. 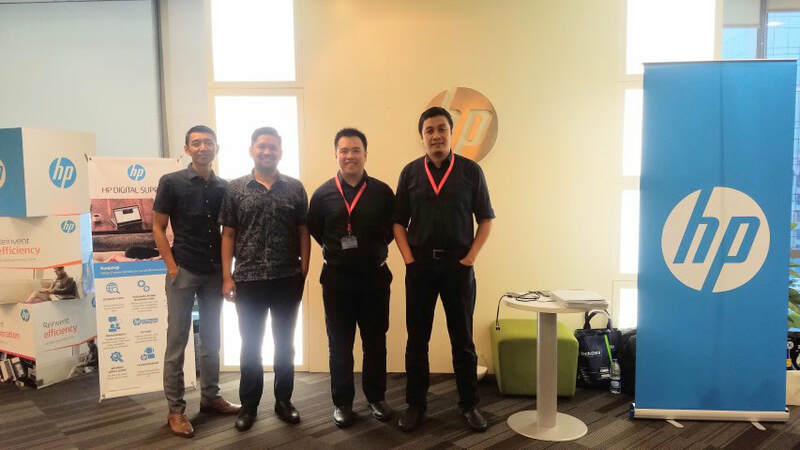 The use of HP RGS plays a huge role in integrating and connecting each user, delivering top notch collaboration workflow with their existing investments. It's a great honor for Sentra Grafika to represent HP in delivering high performance computing solution best choice, as well as receiving such huge responsibilities and trust from BTIPDP. January 2018 - Doesn't matter if you're a professional engineers, product designers, animators, or even VR designers, the new HP Z 3D Camera will change and reinvent creative workflows and give spontaneous collaboration to scan 2D documents, 3D objects as well as live video. It does the magic of providing intuitive and easy 3D scanning by rotating an object in your hands or positioning under the camera. Integrated 3D SLAM tracking and technology constructs the 3D model in real time. 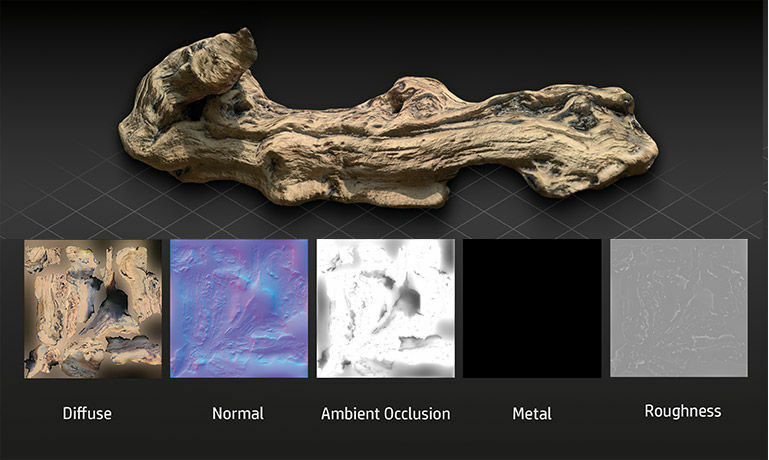 It allows you to ​scan 3D objects with computer graphics-friendly resolutions and hyper-realistic texture that maintains separate albedo, displacement, and normal maps that are ready for rendering and VR applications. 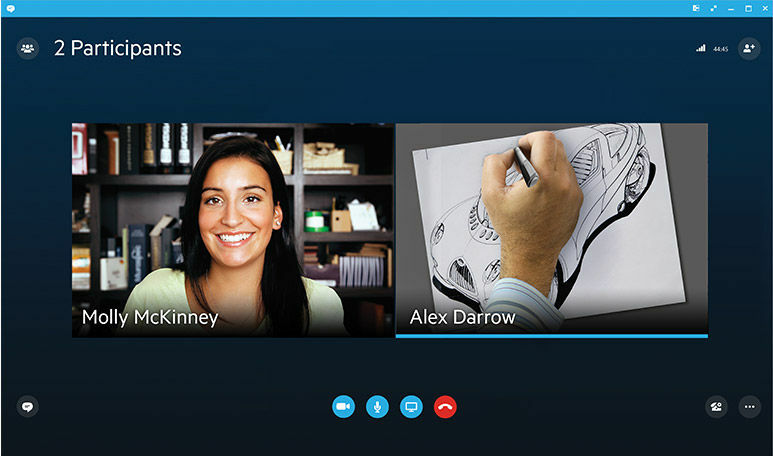 It also enables visual collaboration ​by sharing and zooming in on high resolution captures and live videos of objects, sketches, and documents alongside your presentations.